Today our class reviewed the numerous talented individuals who brought dressmaking and sewing to a new and exclusive level labelled ‘haute couture’. From Charles Frederick Worth, who is noted to be the father of haute couture, and many other designer couturiers that have followed in the 100 years leading up to 2000 including Poiret and Doucet, Fortuny, Chanel, Vionnet, Dior, Balenciaga, Givenchy, Quant, Pucci, Valentino, Lauren, Prada, and Versace to mention only a few. Generally, before 1900 garments were created by unknown specialist and novelist sewers. That is not to say, they were unremarkable, only unrecognized. Looking back over unique styles which relate to these designers, and notably have stuck around in some form since 1900, we generally attribute timelines to those trends that caught on in western society. It was true to say that if you weren’t dressed in the fashion of the day you were considered to be operating on the fringes of society, somehow unaware and out of step with the modern world and good taste. Since around the year 2000 however, that has changed and it would be very difficult to attribute any single fashion with any designer or single style followed by the western world. An explosion of designers and acceptable style possibilities has eased the pressure on everyone to conform to prescribed fashion trends. But this has made fashion trend prediction much more complex. At the same time, it ironically seems easier to see huge design gaps in the fashion market. One such gap is what we consider ethnically diverse style representation. What I mean is, fashion designed and created by individuals in cultures previously ignored, or even suppressed, by western society has only recently captured popular fashion media attention. Also, we have recognized it as unconscionable, and no longer the prerogative of western entitlement, to copy designs from another’s ethnicity or cultural icons. This really is progress to our own understanding and shouldn’t be viewed as hinderance to creativity or inspiration rather an opportunity for growth. Another glaring gap is the unfulfilled need for atypical size men’s and women’s fashion, which represents a growing percentage of the population. I’m not just refering to larger size or particularly curvy individuals. It’s not so unusual these days for anyone to outgrow garments just by becoming more fit. Biceps and thighs are becoming larger, but garments are still made with standard size sleeves and trouser legs leaving them looking like they’ve been squeezed into sausage casings. I don’t believe this is the chicest look to show off muscular bodies. Another gap is in regional requirements for warm and stylish winter wear here in our northerly climate. Sportswear and active wear seem to be reasonably well serviced today with outerwear for every conceivable sport. But what is clearly lacking is fashionable, functional and stylish outer wear for women and men in suits, dresses and evening wear. The key combination which is missing is ‘functional and stylish’ outerwear during the winter months that can last up to 6 months every year. Overcoats are never designed or made with enough wind-break, flexibility or ease to cover the entire body fully clothed in several layers already, nor made to cover, provide adequate warmth, and protect longer hemlines in evening gowns. These are only three areas of immense opportunity for good creative design in fashion in our time. What I haven’t mentioned in this blog, but no less important, is the necessity to make and create with better materials, with better longer lasting methods. The whole purpose of our being in couture and tailoring is to promote quality in materials and craftsmanship to satisfy personal taste and style in garments that will stand the test of time physically and aesthetically. We were privileged to take part in this conservation project – thank you LVGreyes.com ! Me a model figure? Get real! Ecole Holt Couture challenges the notion that couture made or tailor made garments should be presented by professional models on its runway. 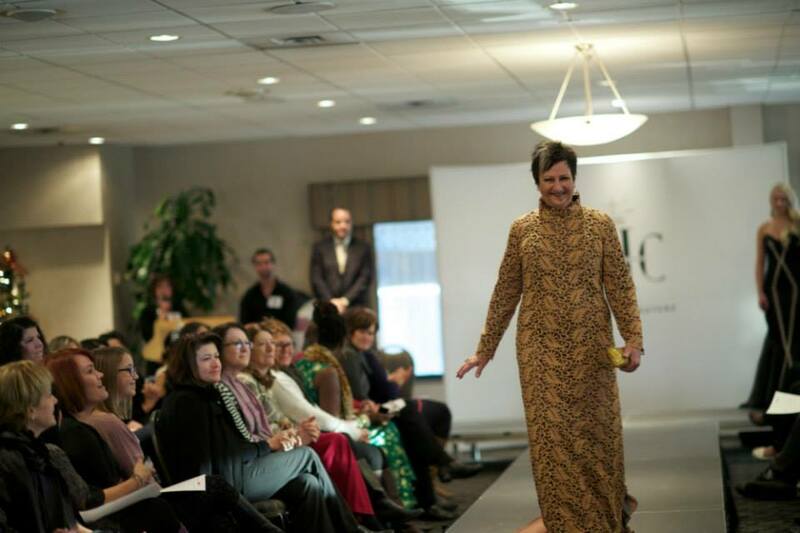 Each year we hear a few strong opinions following EHC’s annual fashion event on this subject. And they make a valid point. If you want to attract your market sector, sell your designs or collections, you need to appeal to your audience’s strong desire to be this ‘beautiful’, ‘in’, ‘thin’, and ‘fashionable’ etc. so they will buy into your conceptualized vision. Through all types of media, this is how style and fashion is essentially sold. Sample sized garments for each new collection are created specifically for professional models to display in incredulous theatrical settings. You only need to open a style magazine or watch a fashion video to understand what I mean. An advantage to using professional models is that they are well practiced walking the runway with supreme confidence implying that every woman should or will look this way when they wear this garment. Models are a predictable size, usually 5’8” – 6’0” (175 cm) tall, a size 0 – 6, age thirteen to twenty-two, right? I love theater, and it is most entertaining! But, as couturiers and tailors we take particular issue with the popular belief that most of us and you: look all wrong, have the wrong hair, walk all wrong, are the wrong shapes, or are the wrong age, unless you aspire to or do look like the model image. Yes, glamor is still a tantalizing fantasy, but not the reality of most people’s lives. Please tell me if you really walk the aisles at your office, sit at your computer, take the bus or drive to work, take your children to school, attend a business meeting, arrive at the restaurant or your friend’s wedding ‘strutting your stuff’ like professional models do on the runway? I thought not. Couture and tailor made (fashion) both exquisite and practical is essentially different. It is the voice and vision of authenticity. Authenticity of your style, shape and personality. Because, couture is created specifically for you, your vision, your lifestyle needs, and your shape and curves, the best model of course, will be you. Here is some juicy insider knowledge. Collections shown on the runway or through look-books must ultimately sell themselves in shops. They must have superior ‘hanger appeal’, meaning they must grab your attention whilst hanging on the rail or over the mannequin, and the most effective way to achieve this is to produce styles that have little extra shape or size, and no complications in them. How is this different from true Couture or tailored garments? It is well known, and most obviously seen when on the hanger, that couture made or tailor made garments truly have the worst hanger appeal! Why so? Garments fitting your shape and around your curves, and sometimes complex in construction, absolutely need to be filled-out by your body to show at their best. At Ecole Holt Couture’s fashion event each year the students model garments they’ve made purposely for themselves or for their client model, to fit their own unique shape and not a typical model ‘size’. The deliberate aim of using non-professional models is to affirm that couture made and tailor made is intended as exclusively for ‘you’. No matter what your unique shape, age, and lifestyle, you always look your best when the fashion you wear fits you well, suiting your personal style and makes you feel comfortable within your own skin. This in turn produces genuine self-confidence, helps you stand apart from the crowd reflecting your wonderful and beautiful true self – a concept everyone can relate to. Although the projects shown on EHC’s runway are firmly part of the learning program in the curriculum, each student’s creations are completely unique in their presentation. The garments reflect students own personal style. We encourage you to follow the students’ progress through EHC training, pay attention to their developing skills and creativity. They will one day be the ‘designer makers’ helping you to create your own unique look. True couture and bespoke tailoring is not just for the rich and famous, it is for you! 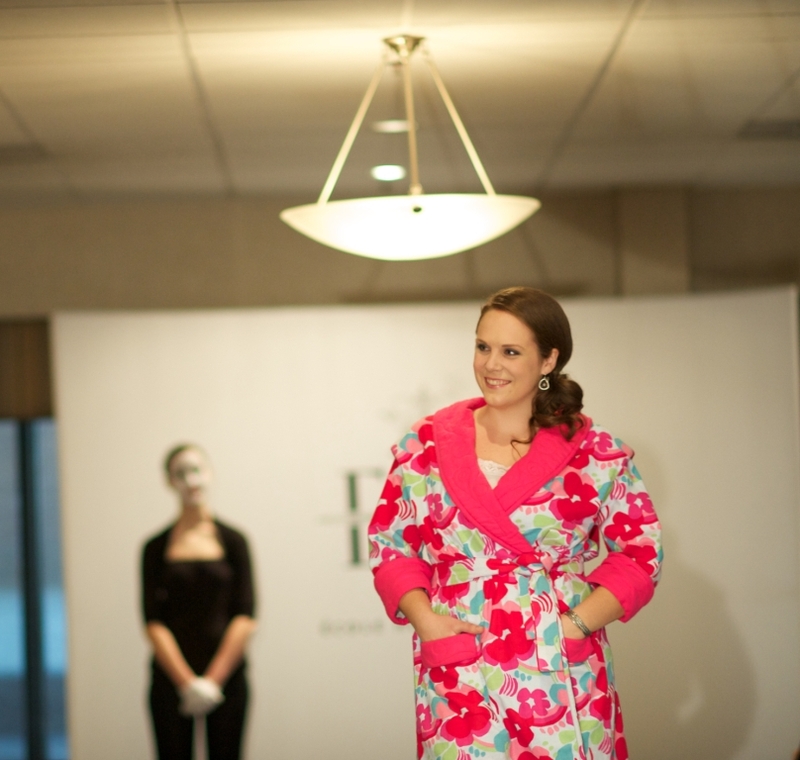 Dress Code – Kelsey showing one first year robe project: brief – must be quality 100% cotton flannel, capped seaming, perfectly pattern matched, gladiator style shoulders, custom quilted shawl collar and cuffs, patch pockets, self twisted thread detailing, etc. Does this sound like you? You fear not getting what you imagined, fear not knowing what to expect, fear not being able to communicate your ideas adequately, and fear hidden agendas. Probably the most common hurdle that new clients face is fear! Choosing a couturier or tailor is normally very intimidating for those ‘testing the waters’ and can be disheartening to those of you who have gone through an unhappy incident. It is after all, a very personal experience, and should be positive and satisfying at every level. Whether you haven’t been to a couturier before or have been disappointed, it is understandably daunting. My advice would be not to take a giant leap of faith, but purposefully take the time to get to know a couturier (or tailor). Explore if it may be a good fit working together. This is most often done during a consultation, but not always. It may begin with a referral, or research into social media or Google, email, or simply a phone call. Professional couturiers and tailors will have developed their businesses based on their training and experience. It also follows, statistically speaking, that craftspeople, artisans, and creative types build businesses according to their personal set of values. That’s to say, how they want to live and work and how they view their world. Also, don’t just assess their design sketches. Look deeper into the quality of materials they use, the ‘fit’ they view as ideally suited for their clients, and their finishing standards outside and inside garments. Great customer service may certainly be important to everyone, but we all define it quite differently. Whatever the terms may be, it should be mutually satisfactory. Established clients will, of course, be well aware of their couturier or tailors’ open hours, time preference for taking phone calls, business terms and conditions. But, it won’t be obvious to you as a new comer. Therefore you should request this information. Seasoned professionals will have started out many years ago; likely they will have relied upon traditional methods for marketing themselves. These ateliers will have quite literally developed by word of mouth. As a result, there was no need to put much thought into a flashy website, if they have one at all. However, the younger generation of couturiers and tailors almost certainly have a better handle on marketing and social media, and most will have considerable information for you. This though in itself, does not at all equate to quality – nor guarantee – the results of their craftsmanship in any way. 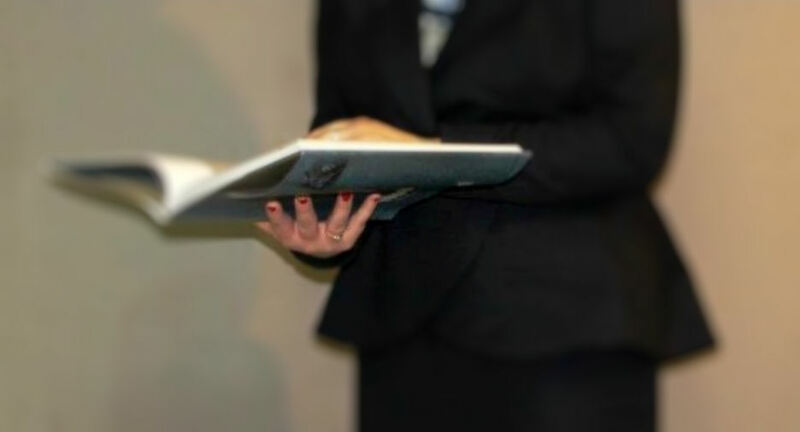 It is extremely beneficial that you book a one on one consultation. 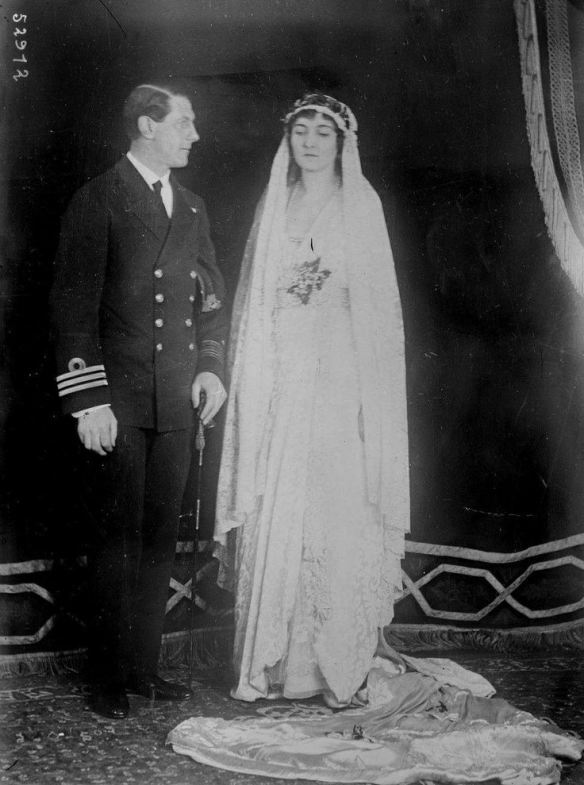 Plus, view some of the couturier or tailor’s actual finished work to fill in the bigger picture. It is perfectly reasonable to discuss your expectations about what you want, but don’t expect a finished design sketch and cost estimate during the consultation. Be open about what hope for, your reservations, and honest about what you can afford. Couturiers and tailors need to be convinced that they will be able to fulfill what you expect. That achieved, they’ll become quite willing and happy to take you step by step through the entire process, and keep you informed at every stage. Consultations are charged for. Be conscious of the fact, as professionals they cannot afford to give time away for free, but they may charge a consultation fee which is later credited toward an actual commission from you. The more research you can do ahead of time will save you money on these consultations. A word of caution, free consultations will provide you with little of any value. In fact you may find a hidden agenda or come away from it feeling frustrated rather than satisfied. Couturiers and tailors will only give you a cost estimate when they recognize you are serious about commissioning work from them, because everything they do is custom. There is no standard item to charge for, and so projects must be calculated individually, which takes time – valuable time. Often working on their own without the aid of assistants or receptionists, puts this time at a cost to themselves, for which they reasonably expect a return on. Ultimately, it is still more productive and less stressful for everyone, if after meeting with or consulting a couturier or tailor, you decide he or she may not be the best match for you. Don’t give up; eventually you will connect with the right one. However it does take some time, but will be well worth the effort! Send applications to the office of the Registrar, Ecole Holt Couture, 2227 – 20 Ave. SW. Calgary, Alberta, Canada T2T 0M4 by March 1st, 2014. It is that time of year again, when we announce the invitation to make application for enrollment to Ecole Holt Couture – School of Couture Sewing and Design. So, gather up all your application requirements and send it to the Registrar. Applications are reviewed, followed by an invitation for interview, when you can meet and talk with the Founder of EHC. But before you do that, you should know that all interested individuals are first required to visit the school, get a feel for the place, and attend the free-information seminar which is scheduled and made by appointment. This is so you can have your many questions answered about the programs, and to find out what is expected of students. We feel that it is important that everyone is fully informed before making an investment and commitment to the program. After this information seminar, you will receive your application package. If you are considering enrolling for this September, it may be a little late if you can’t get here in the next few weeks to attend your free information seminar. But, you can attend this seminar anytime throughout the year from September to June, for the next enrollment year. Just make an appointment with Hannelore Ponto, EHC PR Rep by email at hannelore@ecoleholtcouture.com to set it up. Because the Certificate and Diploma programs are full-time for two years each, and fairly intensive, we like to allow enough time between confirmation of registration and the start of classes in September for new students to gather tools and equipment and prepare themselves as much as possible for what is ahead. The programs are best described as full-immersion learning experiences, in which there is little time for anything else but classes, homework, eating, and sleeping with limited time for zoning out and making sure that you stay healthy and well balanced – at least from September to June. We always tell new students to Ecole Holt Couture, that the first 10 weeks are quite honestly the hardest to get through, a bit like boot camp. Getting used to the new school environment, new classmates, new ways of doing things, new schedules, and accepting that socializing will not at the top of your priority list anymore, for now, is much harder in reality than it sounds. No matter how ready you think you are, it has proved ‘difficult’ for everyone. Congratulations if what I’ve just shared has not put you off! After the first 10 weeks, you and everyone else deserve a decent break leading into the short dark days of the year and also, Christmas! 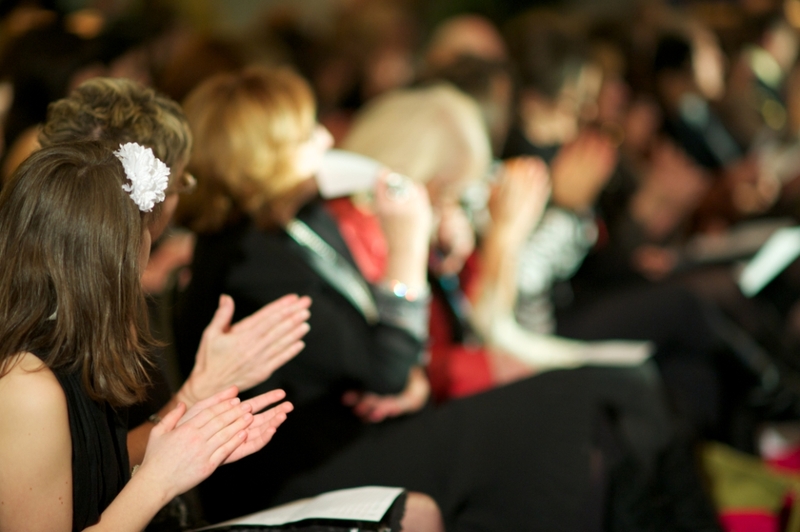 But before you take this break, Ecole Holt Couture holds its annual Fashion Event Fundraiser mid November, for Making Changes Association Calgary, with the involvement of all the students. 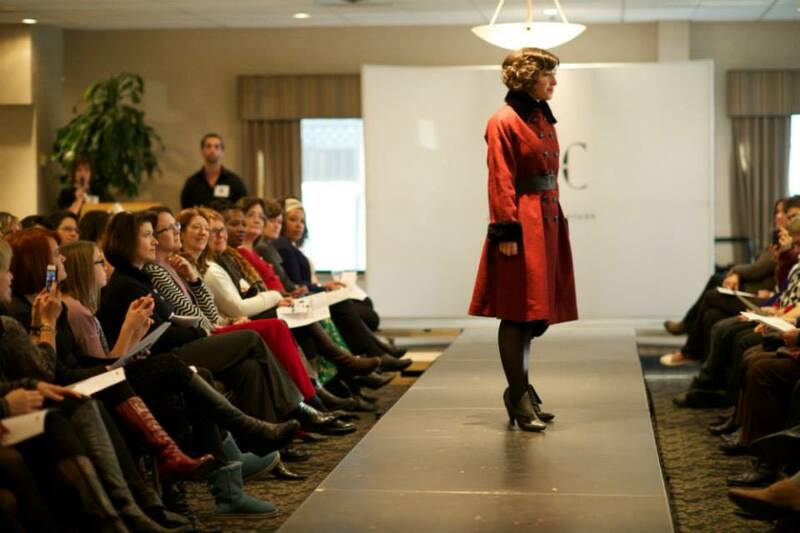 This fundraiser is a runway fashion show featuring all the work of current students of EHC. Guests witness what students have accomplished, and frankly most love to see the student’s progress from year to year – like watching a flower grow and blossom – exciting at every stage. This year EHC featured its first Graduates of the Diploma program showcasing their amazing final projects as well as countless other pieces they’ve created over the past four years. Classes resume the beginning of January and run for a further 20 weeks into June with about 12 days Spring break in between. It is amazing to us, when students return in January, just how much more prepared they all feel after the first slog. In the past, this is the period when classmates really gel and become comfortable enough with each other to open up and share thoughts, opinions and eureka moments with. And surprisingly, they really begin to enjoy the demands and expectations of the curriculum, and are able to demand more of themselves as they see their impressive results. More about how things work at Ecole Holt Couture in future posts. Visit and Like our Face book page at www.facebook.com/ecoleholtcouture for regular updates. Again, the Deadline for Applications is March 1st, 2014 for September 2014 start.